Any excuse to play in the kitchen and in my garden is a good excuse to read a book in my world. Okay, a book is a good excuse to read a book in my world, but a book that adds in those other components? Priceless. Honest to goodness, this is a book that just encourages me to get in there and play which is something that I don't do near enough. I spend far too much time "cooking" and not enough time just letting my creative side flow. 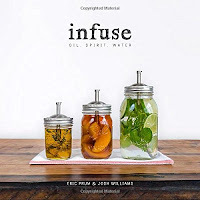 I just need to get myself some mason jars and a few of those fantastic taps that they're producing now! 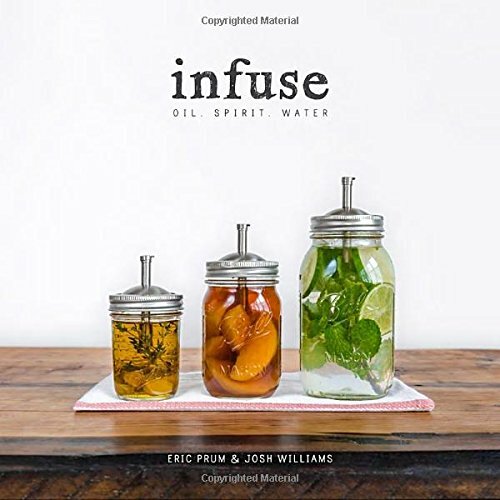 Honestly... if you like yummy infusions, a bit of fun, and kitchen experiments, you're going to want to add this book to your shelf!